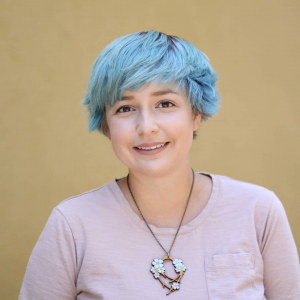 Heather Mahan is an instructor at Hackbright’s South Bay campus pop-up – a community she loves building. She sat down with our partners at Course Report to talk about what it’s like to be in the classroom. 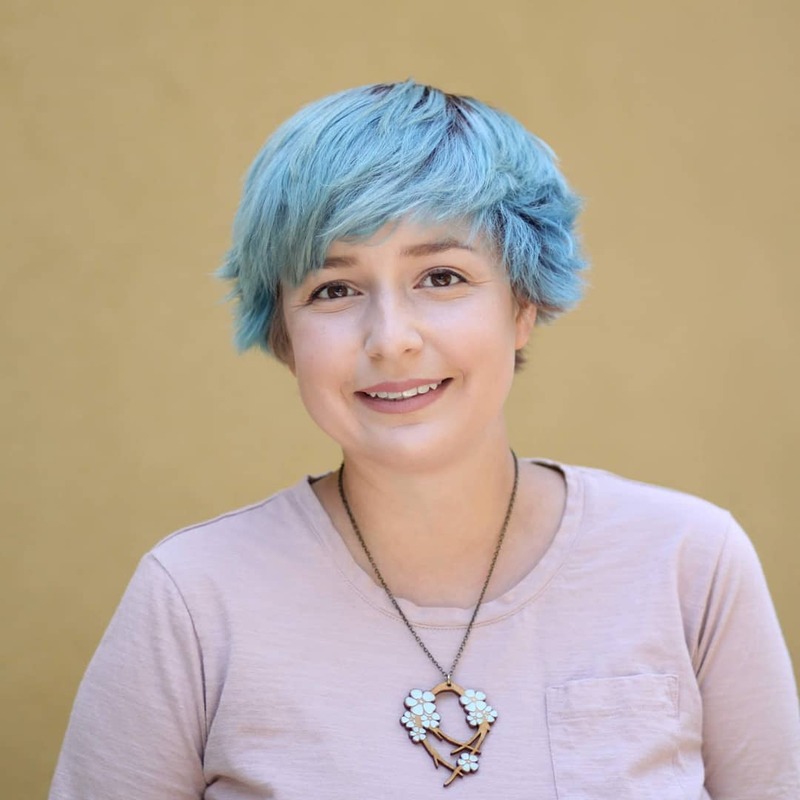 Learn about her teaching style (as a Hackbright graduate herself, she always remembers what it’s like to be a beginner), why it’s important for women to learn in a supportive environment, and the two qualities she finds in her most successful students. Heather, how did you get into programming? I have a bachelor’s degree in Philosophy and a master’s degree in Linguistics from UC Santa Cruz. After I graduated, I came back to the Bay Area (my hometown) and joined the tech industry – it’s a really interesting field to work in at this moment in history. I decided to join tech by becoming a Technical Writer. I was documenting all these incredible products, and I realized I wanted to have the power to create those products rather than write about them. I started learning to code with online courses – Coursera and Udacity. When I considered trying to actually become a software developer, I thought, “Do I go back to school? Do I get another university degree?” Hackbright Academy was still quite new at this time in 2014, but it seemed like an awesome option for people who had completed their education and wanted a career change. There are tons of coding bootcamps, why did you return to Hackbright specifically to teach? San Francisco has tons of meetups and opportunities – the community in South Bay is so much smaller than SF. It’s a dream of mine to be able to help grow that community in my hometown. About a year ago, Hackbright posted a position in the South Bay for their pilot Prep program. I reached out and was thrilled to become an instructor for the very first Hackbright course in the South Bay. Currently, I’m teaching the full-time Software Engineering course at the South Bay campus and I’ve taught three cohorts so far. Did you have teaching experience before working at Hackbright? I taught in grad school, and as a technical writer, I developed a knack for explaining things. I also taught at a cool summer camp called Girls Make Games where girls learn how to program their own video games. One of my passions is working with girls and women in tech. I got to teach younger girls at Girls Make Games, and as an instructor at Hackbright, I get to work with women. It’s important to give women opportunities to engage with tech during childhood and also as adults. You want young girls to have positive experiences with technology. But then there’s also this other demographic of women who didn’t have that chance when they were young, and now they want to get involved as adults. It’s great that lots of different organizations are focusing on different angles of inclusivity and diversity in tech. As you’ve become an official instructor, what have you found your teaching style to be? How do you approach teaching women to code? I want people to find the subject fun and approachable. So many students feel intimidated by these topics, so I try to break them down and demystify them. I try to remember what it’s like to be a beginner. I think about how to frame things so that there’s as little assumed knowledge as possible when I’m explaining a concept. I also love coming up with fun analogies and colorful diagrams. The actual course is mostly hands-on teaching. There are lectures, but there’s a lot of time dedicated to labs. When students are struggling, my approach is to ask questions. It’s sort of the Socratic Method in a way – I try to ask questions that help them think about what they’re stuck on rather than just tell them the answer. After graduating from Hackbright and teaching there, could you tell us about the ideal student for Hackbright? For a student to be successful, there are a couple qualities you need. You need to be very driven and self-motivated. We’re giving you access to knowledge and we’re doing our best to make these topics approachable and exciting. But ultimately, there’s still a lot of hard work that the student has to do in order to learn that material. Another quality I’ve noticed is curiosity. Students who do well at Hackbright, typically, have a curiosity for wanting to know why something works the way it does, instead of just being satisfied that it works. How does it work? Why does it work? You need to have a curiosity about those things. Do you see success tied to prior programming experience? Can someone be successful at Hackbright without having a technical background? Any prior knowledge that you start with is helpful. In fact, for our full-time software engineering program, we don’t admit students who have no coding experience. For a case like that, we offer the Hackbright Prep course, which will introduce you to Python and help you understand if you like coding and want to pursue it. So, yes prior knowledge helps, but that doesn’t necessarily mean that you’ve been tinkering with computers since you were five years old. Prior knowledge can take various forms – it doesn’t have to be the same for everybody. We just want to see that you’ve demonstrated recently that you have a serious interest in programming. Do you see any validity in arguments that an all-women’s learning environment doesn’t prepare women for working in the real world? When you’re attempting to learn difficult topics, such as computer science and programming – and these topics really are tough for everyone, regardless of gender – why wouldn’t you choose a bootcamp that provides the most supportive unbiased space for your learning? The reality is that women in the workplace and even in academic settings sometimes get sidelined because of their gender. We want to provide a space that is the most welcoming and supportive of that already underserved demographic. But this space isn’t just about learning – it’s also about gaining confidence. We’re giving women the confidence to say, “I can do this, I deserve this, I’m every bit as good as my male peers.” Building that sense of pride before they enter the workplace can make a really big difference. Tell us about your biggest student success story! Honestly, I’m so proud of all of our whole alumnae community, including students I’ve taught as well as women I learned alongside back when I was a student myself. An amazing woman from my 2014 cohort came in with a background in Psychology and Marketing. Now she works as a Software Engineer at Twitch and has done collabs with my internet geek hero @sailorhg. Another student who I taught recently came from a customer support background and now she works as a Production Engineer Facebook, a job that she landed less than six months out of Hackbright! So yes, our graduates are pretty amazing. This post was originally published on Course Report, it has been abridged for Hackbright Academy. Find the full article, more bootcamp news, and read Hackbright Academy reviews on Course Report’s website.